With our passion for technology and focus on people's needs, we can hear and appreciate the unique challenges you face in your business and apply that understanding towards software recommendations which will offer you the greatest efficiency benefits for the lowest total cost of ownership. We will help you develop a vision for your technology roadmap, identify your business requirements, and continually drive towards deploying a high quality solution so you can begin enjoying the benefits as quickly as possible. We begin a project with a solution architect helping you to develop a comprehensive vision for the solution. 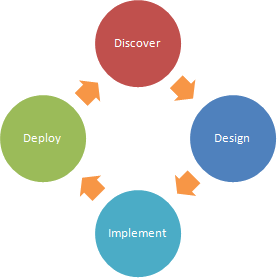 This becomes a roadmap guiding your business requirements, implementation and deployment schedules. Along the way we will help you select a technology platform, identify existing investments which can be leveraged by the new system, and recommend the most cost effective ways to meet your business objectives. The result is a high quality solution developed as quickly as possible and with the greatest benefit to your organization. Have a vision for how new technology can improve your business, or an existing system that needs to evolve to match your growth? Contact us to discuss the best way to achieve your goals! Software discovery - Building a house without the timber. Read more. Technical assessments - am I paying for sales? Read more. .NET, Java, .PHP, Python, Ruby ... Where should you invest in building your software infrastructure? This decision has lasting implications in scalability, robustness, support and and total cost of ownership.